Core'dinations Stacy Julian Happy Colors & a give-away! Happiness!! 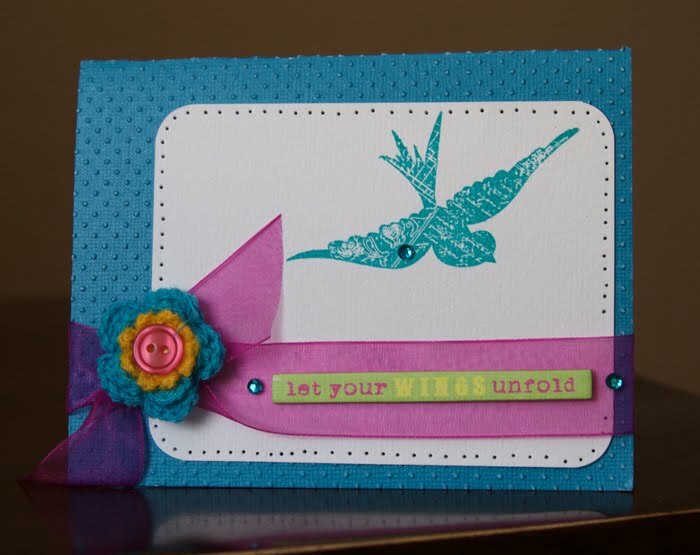 That is the word that comes to mind when I saw the new Stacy Julian Happy Colors pack by Core'dinations. Truly, it just makes you happy. Much like the lady, Stacy herself. If you know Stacy, she is very much a color person and makes everything so bright and cheery! Well let me tell you, it did just that for me. Let's get started. This paper pack includes 20 sheets of 12x12 embossed cardstock. It is their lovely color core cardstock that you can distress! Love that! - I liked that it gives you so much texture. - The embossing is phenomenal on these and the possibilities are endless what you can do with it. - The papers co-ordinate with each other so you can make multiple projects with it. -Only one thing. I would like them to be loose rather than in a pad format. *Please note that the worded sheets are available individually. Look for it soon at a retailer near you! Bottom line this just screams HAPPY!! I love it!! What do you think? Is this something that would make you happy? Do you like the idea of embossed cardstock? Leave us a comment by midnight EST Thursday to win a Happy Colors pack of your own! Also, be sure to check out their blog this week as Stacy shares some of her color inspiration! I love embossed cardstock. Coredinations is great. Yes I would love to use this cardstock. I like my background cardstock/paper to have a little something extra, and this is ideal for my scrapping style. While I like Coredinations card stock, I've never purchased the embossed kind - it's intriguing, though! I would LOVE that CS! Gorgeous colors and the embossing is fabulous. I love the idea of embossed cardstock, but I have yet to purchase any. The colors are great! I saw this earlier on another blog! I love it! I think it would be so much fun to play with! The embossing is what draws me to this. I can find plenty of plain cardstock just about anywhere. Can't wait to find this somewhere locally. I've loved Core'dinations products for awhile now, and adding Stacy to the mix is just fabulous! Love her happy designs. This is gorgeous! Will be on the lookout to find this at my LSS. I love those happy colors! I have found myself needing bright colors for the summer and haven't had them in my stash, so I think it's fabulous. I do have their nostalgia line and love the earthy classic colors as well. Thanks for the review! I will go check out their blog! I love Core'dinations cardstock! I never tried their pre-embossed paper, but that would add a lot of spice to my LOs. Thanks for the review! I love the look of embossing but I don't have an embossing machine so this product is PERFECT! 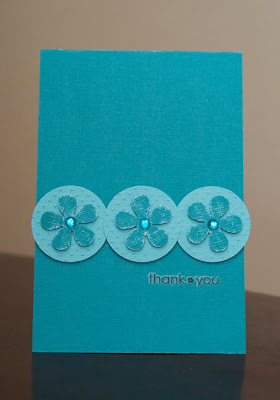 I think embossed cardstock is a fabulous idea! It's a great concept, esp. since I'm always embossing my own paper. I like the colors that were chosen and I can definitely see me using this product. Ooooo!!! I have never seen embossed cardstock, but I would love to use it!!!! Thanks for the chance! Happy is a great description. Love these. I love embossed cardstock!! I've actually purchased some of the embossed Cor'dinations, and I've used so much of it up. I love sanding it. That really brings out the embossed look!!! I would love to use this product when it comes out. I'm sure I'll be picking some up because Cor'dinations is my go to for solid cardstock. I LOVE Coredinations. THe embossed cardstock is great since there is no way for me to emboss a 12x12 sheet myself and I LOOOOOVE the colors in this new collection! Whew! Man! I didn't know you could get pre-imbossed card stock! Brilliant! Love everything you shared! I would love to win some of Core'dinations1 Thanks for the chance! I have been trying to find a place that sells this from the moment I saw it! I love it so much - I guess the reason I can't find it is it isn't in stores yet - I can hardly wait! Thanks for sharing your project ideas. I love embossed cardstock, and Core'dinations is the best because you can sand it for that extra textured effect. Love Stacy's colorful set too. Definitely on my wish list! OHHHH! I love Coredinations!! The embossed cardstock is a great touch to the paper--esp. when I don't have all those embossing tools or folders:) THANKS for the chance to win!! I saw this on Stacy's blog, and it made ME happy too. Thanks for a chance to win some of this great product! I like embossed papers and would love to have these to play with! Great product and Stacy Julian rocks color! I do like the embossed cardstock. Not sure if I would use it on a layout, maybe just for cards. I, like Stacey, am a color person and I love the Happy Colors pack!On top of that, Core'dinations paper is so versatile! Loveit, love it, love it! These look fun! I got a small taste of their products at Scrapfest a couple weekends ago, loved it! I happen to love Core'dinations paper - thanks for the review. They look terrific!ilove the colors and the embossing is wonderful! I love to play with this paper. I LOVE Coredinations!!!!! Embossed cadrstock that can be sanded and torn for fabulous looks does not get any better! Love what you created. love the adorable layout you made with the coredinations. I love coredinations paper. so many possibilities! I love Core'dinations embossed cardstock! and those new colors are terrific! I'd love to get some!! oh my goodness, HAPPY! yes indeed, these colours are FABULOUS! i'd eat 'em up and use 'em on EVERYTHING. The ideas you shared are enough proof that embossed cardstock would be fun to use for card making and scrapbooking. Love the Coredinations embossed cardstock. Looking forward to seeing the Stacy line in stores soon! I think the idea of embossed cardstock is fab, especially since I don't own an embossing/diecut machine! SuperCute pages! I love to emboss and I love their papers. I like happy colors so this is definitely something of great interest. Coredinations is great and so is Stacy Julian! Credinations is great and so is Stacy Julian! Yes, I love embossed cardstock! I think it add a little something extra to a layout!! These colors are great! I love to use embossed cardstock:) Thanks for the giveaway. I love working with cardstock and if I can have it embossed - WOW!!!! Hope I win! Those are cool! I love the paper! So bright and cheerful. I'd love to be described that way. ;) Love your creations too. Very cute! I love core'dinations cardstock. I would love to try the embossed papers. They are perfect for both scrapbooking and card making.